Timothy Richards employs a small team of ten skilled men and women. This includes all areas within the workshop from modelmakers, casters and packers to administration, sales and marketing. 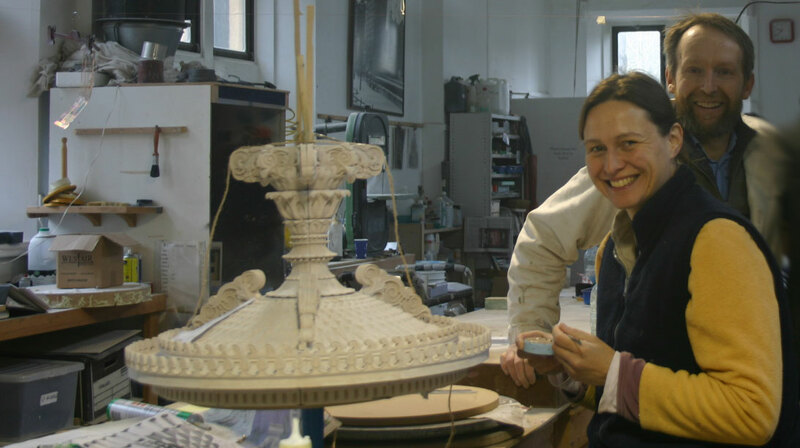 We also have a circle of highly skilled modelmakers and sculptors who join our team to create new pieces. Joanna and John are part of the long term team and have been working with Tim for over 15 years. Tim has retained the ethos of a small local family firm and chooses to be based in a workshop within the local community rather than an isolated industrial estate. All of the staff that work here have talents which the workshop makes the most of. In this respect all of the staff are self selecting in what they do and stay because they share the values of the business. Timothy Richards aims to use local and/or British suppliers. Our boxes are handmade by Stevens of Yeovil. Our British Gypsum plaster is supplied from South West Industrial Plasters. Metal etchings are made by Photoetch in Walsal and PPD in Scotland. Glass is supplied by Creative Glass in Bristol. We work with Din Petch of Running Dog Foundry of Barnstable. 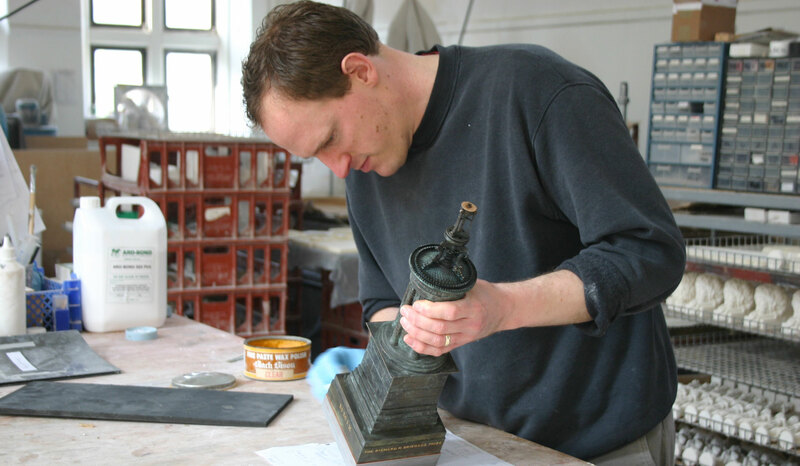 Lee Chapmen of History Craft has been working with Tim for many years helping to produce any resin elements. We have worked with these suppliers for many years.